When you walk into a collection facility, also known as a collection site, our trained and certified collectors follow strict protocol procedures to ensure that donors receive a consistent, high-quality experience. Collectors are trained to follow a standardized process at every location to help control the integrity of the specimens and drug test results. Oftentimes these rigorous protocols may take donors by surprise. 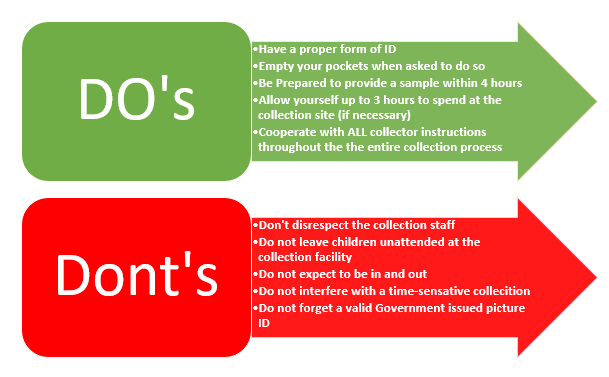 These 10 steps apply to all urine drug test collections handled by a collection site and are readily available for reference by both employees(donors), employers and collectors.